The salt desert Salar de Uyuni and the unique landscapes of the Bolivian Altiplano are probably the main tourist attractions of Bolivia. We went on a four day jeep tour to discover the area. In February, during the rain season – yes, it’s a desert but there is a rain season – we got to see the region from its unpredictable but none the less beautiful side. 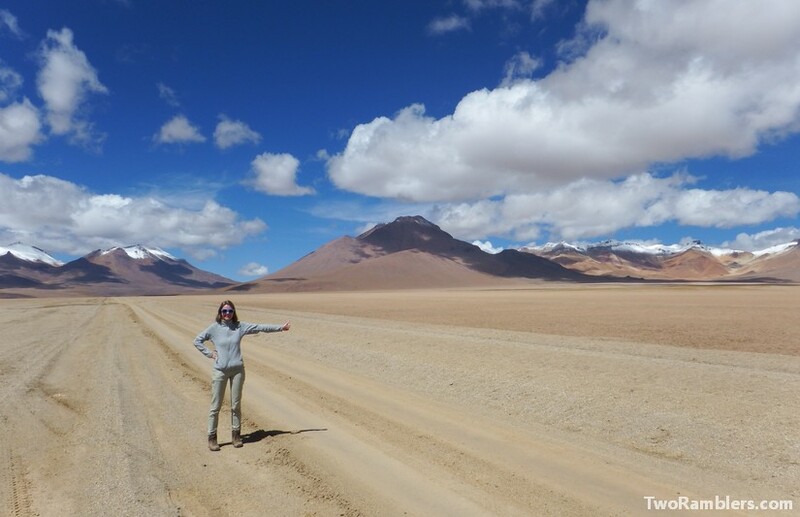 We decided to do a guided jeep tour of the Salar de Uyuni and the Altiplano. 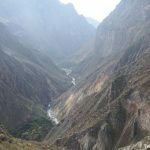 As a starting point we chose Tupiza in the south of Bolivia as it lay on our route towards Argentina. During our four day tour we drove through landscapes that seemed to be from a different planet. Empty wastes, lagoons in all shades of blue and green, canyons, landscapes that seemed inhabitable but at a closer look were home to some particular species. Our driver and guide Erlan stopped wherever we wanted to take pictures and provided us with some insights about the nature around us. 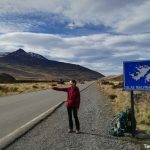 We shared the car with three French guys who had just arrived in Bolivia after a trip through Argentina. 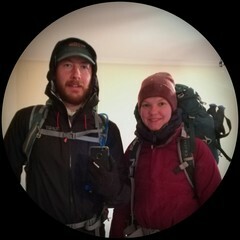 We spent the nights in basic hostels along the route. In the evenings we were joined by another jeep including Norma our cook who prepared delicious meals for us. She made sure to always have a vegetarian option for Franziska. On the first day of our tour, we discovered a new feeling of nothingness. We drove for hours through arid, empty landscapes, only a few mountains far in the distance. 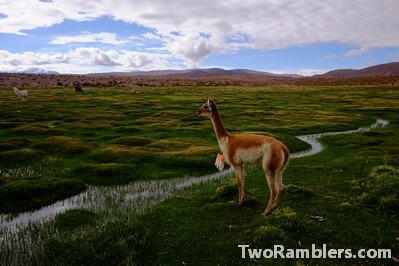 Now and then, we passed a group of llamas or vicuñas. Here and there stood a cactus. 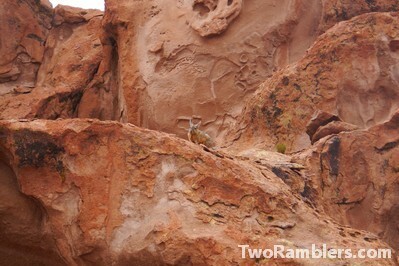 Can you spot the viscacha? Exciting were the crossings of streams that had formed after heavy rainfalls of the previous weeks. Erlan was extremely careful driving over them which we first thought exaggerated but later were very grateful for when we heard that the other jeep of our tour got stuck in one of the streams. They had to push for more than three hours to get out of the mud. We felt the impact of the increasing height. At the end of the day we had reached 4200m above sea level. 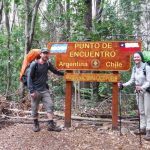 Kevin had bought some coca leaves in Tupiza which did provide some relieve from the headache but we were happy when we reached our hostel for the night. We were in a small town with only sand roads many of them flooded, very basic houses but a football field that impressed Kevin with its fresh green grass in the middle of the rocky and muddy landscape. The second day of the trip was our favourite part. We stopped at the Dali desert, a huge flat desert field surrounded by mountains. 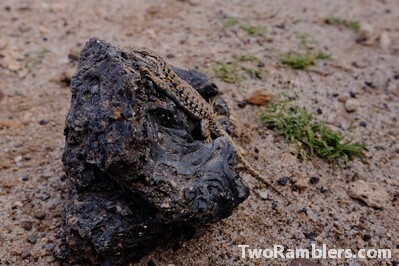 The sand and rocks had particularly strong colours there, reminding of the paintings of Dali. Afterwards, we were able to relax at a hot spring. Sitting in this natural pool in the middle of nowhere felt incredibly unreal. What a luxury in the middle of nowhere! The morning of the third day included more highlights. We got to wander around some fantastic rock formations, formed by the strong winds of the wide plains. 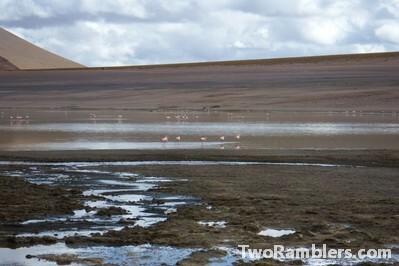 Afterwards, in the middle of this arid, hopeless seeming landscape we visited a lagoon. It was a little paradise of green, juicy grass enjoyed by llamas and a lake full of birds. 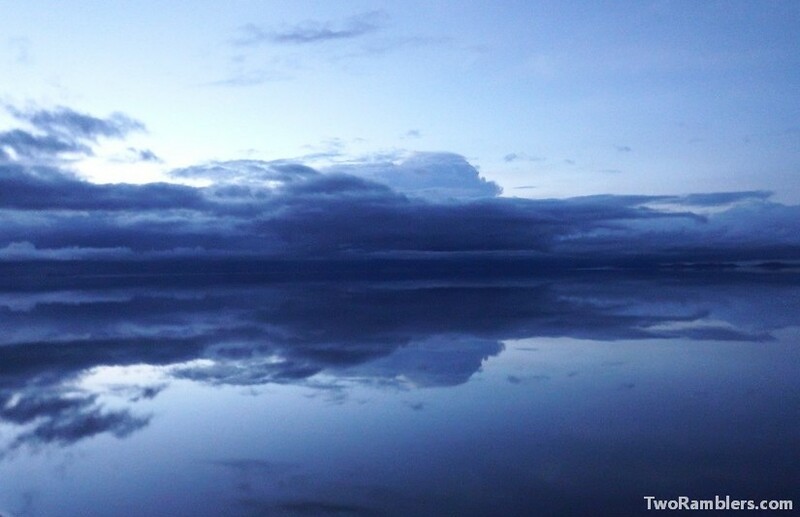 After quite some hours of driving we reached Uyuni. The city seemed desolate: run down houses and empty, sandy streets. We drove out towards the salt flats and discovered that they were covered by a 5 cm layer of water. It was like standing at the ocean. There was water until the horizon. The only difference was that there were jeeps standing in the sea. We stayed to watch the sunset. 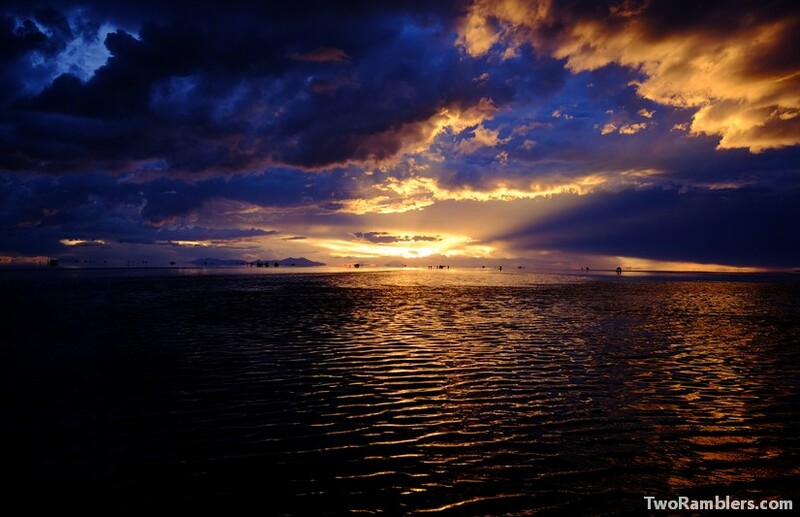 At the edges of the beautiful reflections of the sun going down we could see a storm coming up. 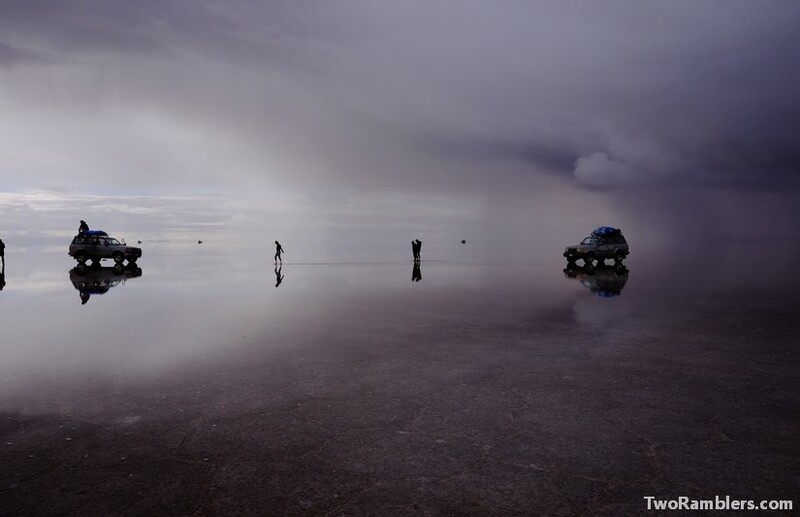 There were dark rain clouds and lightning above Uyuni and the Salar. And indeed, while we were waiting for dinner at our hostel a storm broke out. It was a heavy storm. The wind was blowing through all the gaps and holes of the very simple accommodation. Then the hail started. It were big, round bullets of ice that hit hard on the roof, found their way through a number of holes and pushed hard against the door until there was a pile of them lying inside the common area. As fast and heavy as it had arrived, the storm was over quickly, the mess it had created was cleaned up and we got to enjoy our dinner. 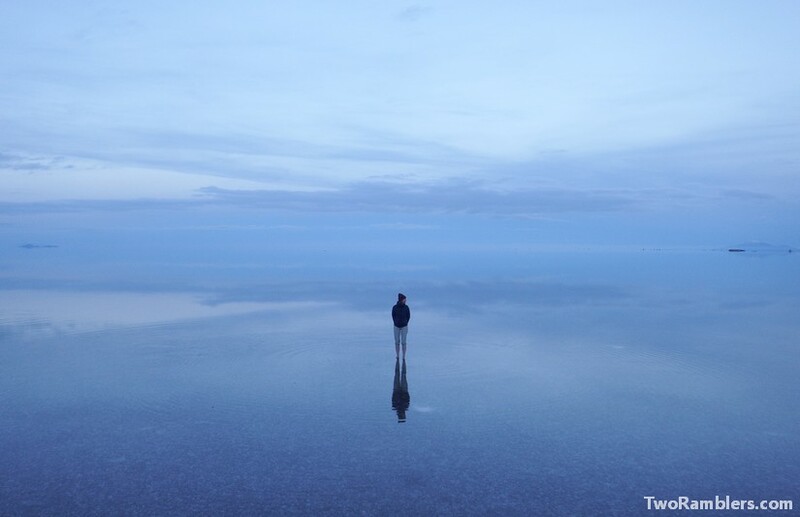 On the last day, we got up at four o’clock and in the dark drove out onto the salt flats. Apart from the lights of a few other jeeps we could not see anything around us. With the first sunlight our jeep stopped. There was nothing around us. All we could see was water until the horizon. A salt desert or a Rorschach test? Franziska got out of the jeep and in her bare feet walked through the ice cold salty water. Kevin climbed on the roof of the jeep to get a full view of the sunrise. The sky took a light grey, slowly turned pink and red until it got blue. Time seemed endless while we watched this spectacle. Breakfast waited for us at a hotel built out of salt in the middle of the desert. Afterwards we spent a few more hours on the flat, seemingly endless lake taking pictures, playing with our reflections on the water. 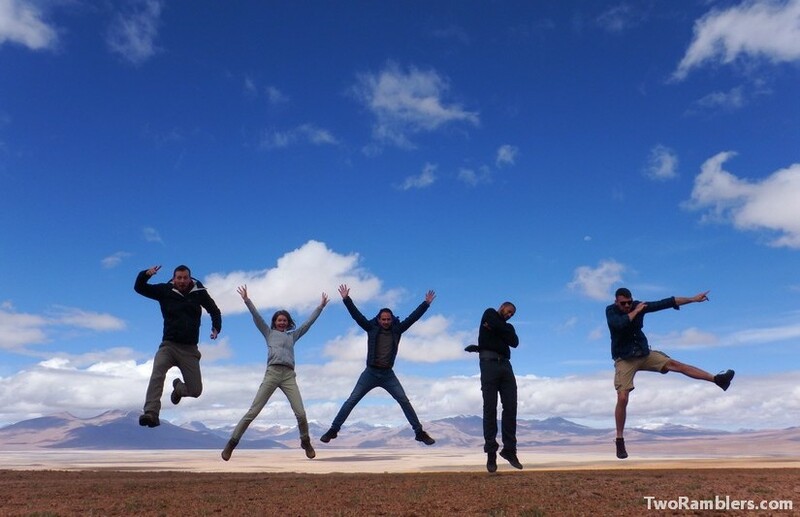 Although the tour officially stopped in Uyuni we got a free ride back to Tupiza. The trip went through more stunning landscapes. We had been warned that with the rain parts of the road could be blocked and that hence the trip could get very long. But we were lucky. Apart from some road works the way was easy and we got to enjoy the mountains and cacti around us. 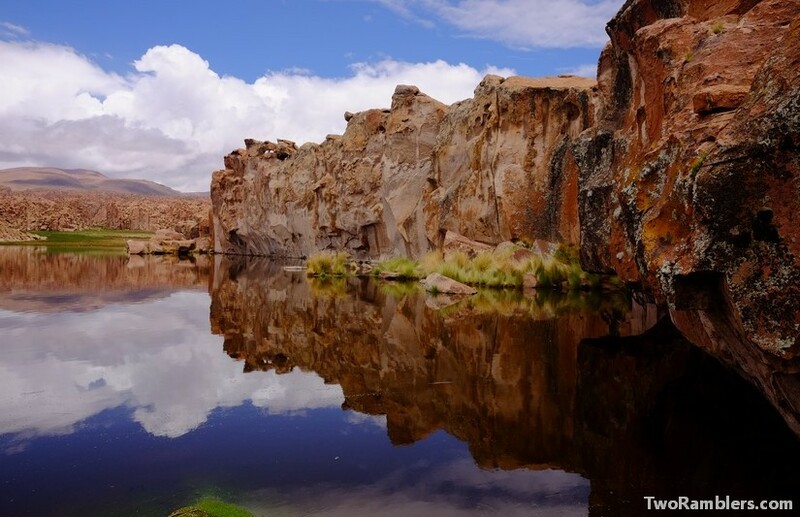 Tour options: We can definitely recommend the tour starting in Tupiza rather than Uyuni. It is slightly more expensive but includes an extra day. 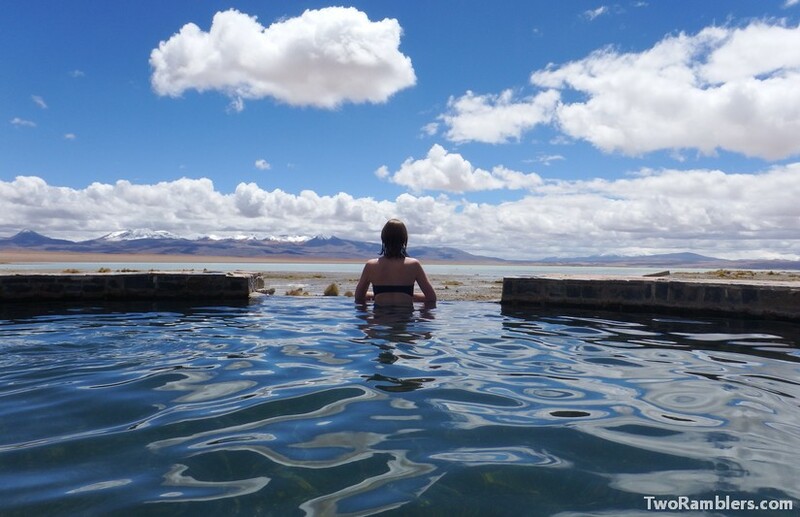 You do skip some of the crowds as the majority of tours start in Uyuni. 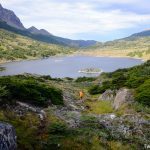 There are a number of tour operators in Tupiza, all offering more or less the same circuit for the same price. We went with Torre Tours.